For most property owners, pest control comes along with a major infestation. While many pest removal practices operate this way, you don’t have to wait until you are overrun to address your issues. Even the minor presence of pests means that there are entry point for more to follow suit. As temperatures begin to drop, insects and rodents will go looking for shelter. If you have noticed an influx of spiders, traces of ants or signs of a rodent, call a Toodaloo technicians to cut your pest problem off at the knees. A successful pest control practice can be divided into assessment, treatment and preventative measures. Without properly assessing the severity of your infestation, pests can’t be removed completely and without prevention methods, they won’t stay away for long. Spotting a budding pest problem means understanding what to expect from these unwanted guests. Property damage, droppings and visual signs are always easy ways to spot an infestation. Rodents, for example, have a habit of gnawing on door frames and furniture. While these pests are a bit obnoxious, others are subtle. Calling in a professional pest removal service can help identify even the smallest signs of pests. Just because you’ve caught a cockroach or two, does not mean that your home or workplace is not up against other hidden pests. 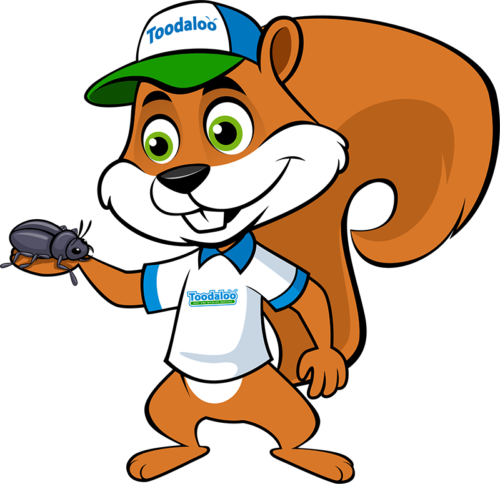 Instead of treating just one type of pest, make sure to get rid of all of them with a bit of help from Toodaloo. Once initial treatments are completed, there is nothing to do but maintain your results! Identifying entry points around your property can be as simple as spotting an uneven door or window frame, or taking note of an opened vent. As temperatures begin to drop outdoors, pests and rodents will make a break for the warmth of indoor spaces. Preventative measures will stop insects and rodents from both entering and taking over your property. What is the best way to stop an infestation? By not letting one happen in the first place! Call a Toodaloo technician today to get your place looking great and to keep it that way!